You went to the train and your ticket number was 101. You woke up in the middle of the night and it was 1.01 am. You were driving to work and the number plate in front of you had the numbers 101 following each other. Now is that a coincidence or are you missing out on some hidden message being conveyed to you? Your guardian angels are speaking to you and you need to listen. I will try to help you understand what the angels are trying to say to you. First you need to know the meaning of the number 101. The single number 1 brings about good and happy times. It means that things are about to change for the better. Number 0 signifies the beginning of a spiritual journey. It means Godliness and eternal life. The main duty of this number is to energize the other numbers i.e. make their roles visible. The angel number 101 is a symbol of continuity. It is a message of individual development. If you see this number everywhere you need to start following your dreams. In every decision you make you must listen to your heart. The voice telling you to go to a certain direction is one you should listen to. Positivism is crucial during a 101 life period. Always hope for the best. See the glass as half full and not half empty. Surround yourself with positive energy. A positive mind set is necessary for your goals to be achieved. Avoid negative people and critics at this period in your life. They will shift your energy making it hard to achieve your goals. The 101 angel number is a sign telling you to let God be in control. Do not try to change things or fix mistakes. This is Gods time to fix your life. Do not worry about any issues in your life. Just keep your faith in God. This is a good time to cast your burdens to God. If things have not been working out, it is a good time to stop worrying and start praying. 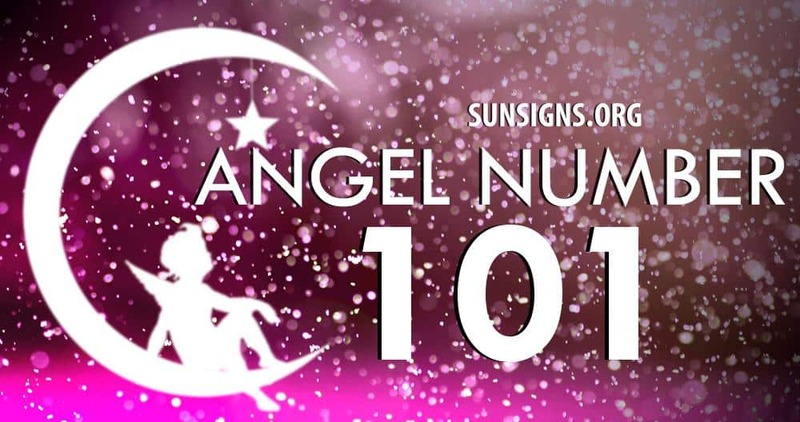 In conclusion, the angel number 101 meaning is a symbol of prosperity. The doors of success are open at this time. You need to open your heart and invite good luck by being positive.